While there are many reasons to incorporate strength and resistance training into your weekly schedule, here are two you shouldn’t ignore. If you’re challenged by weight loss & burning enough calories, this one’s for you. 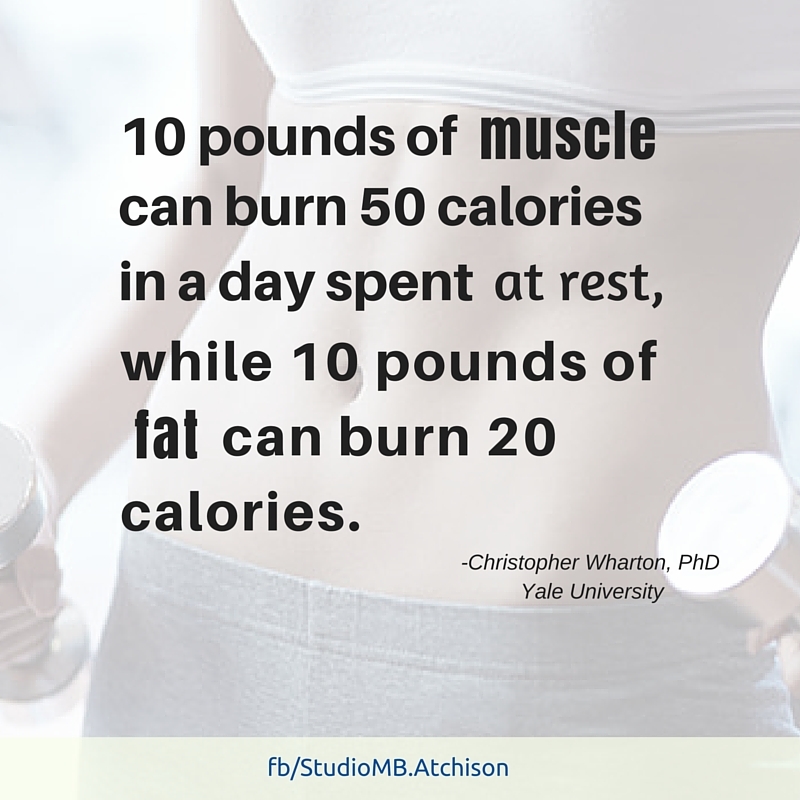 Muscle tissue burns more calories that fat tissue. While a pound of muscle and a pound of fat weigh the same (one pound of anything is one pound..right? ), they both have different energy requirements. When you exercise, you use muscle. This helps build muscle mass, which burns more calories that fat tissue, even while at rest. All the more reason to exercise regularly. The idea, or goal, is to effectively increase your metabolism, which is the process by which your body converts what you eat and drink into energy. This is done by increasing the amount of aerobic exercise and strength training. Remember that for weight loss, more calories must be burned than consumed. With exercise including strength & resistance training, this can be done more easily. This reason affects everyone, regardless of how active or inactive you are. Starting sometime between mid 30s and 40s, the body begins losing muscle mass and function. This process is called sarcopenia. Physically inactive people can lose as much as 3% to 5% of their muscle mass every 10 years. This is why exercise, especially strength training, is important. It helps slow this process down. Don’t freak out; you don’t have to train to be a bodybuilder. Simple exercises 2-3 times per week using weights or resistance bands can do wonders. You may not be thinking ahead to the time you hit 70, but it doesn’t hurt to plan ahead. The more work you put in now to stay healthy and active, the better off (and more independent) you’ll be after years after retirement. Short on time for exercise classes? 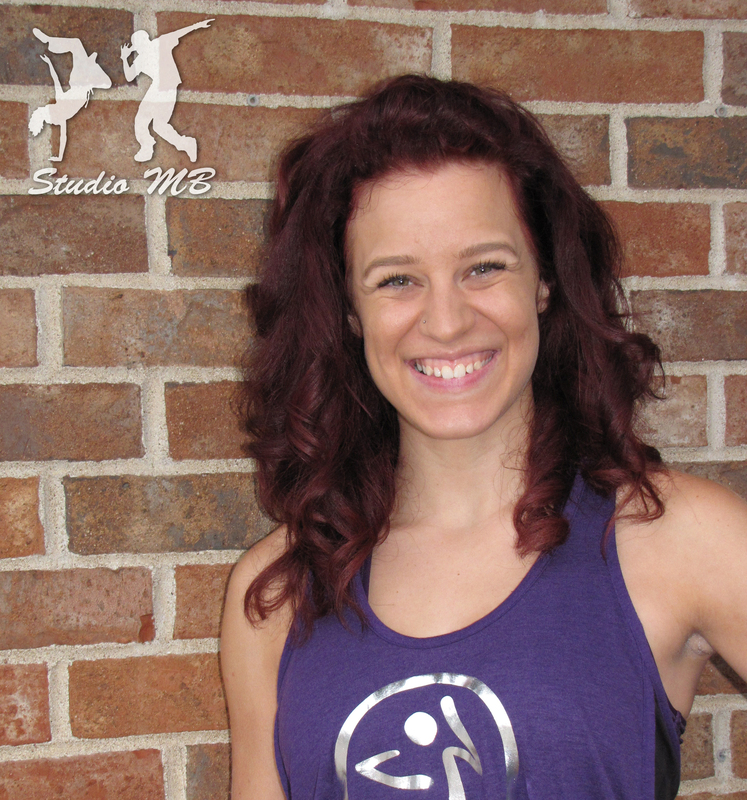 Try our 25 minute BodySculpt class at Studio MB. Centered around interval training, BodySculpt incorporates weights and resistance training to a quick and intense workout. If you’re a mom with no babysitter, or exercise equipment, try using household items that have weight to them, such as bottles or jugs of water. There are also many exercises you can do using your body weight as resistance, such as push-ups. Remember that anything is better than nothing. Start small and build your way up.